Baseball is more than a passion; it’s a lifestyle. Marucci’s Lifestyle Collection combines lightweight frames with polarized lenses by Carl Zeiss Vision to produce some of the most comfortable, durable, stylish sunglasses on the market. Why does the Lifestyle Collection Have Polarized Lenses? Polarized lenses provide superior glare protection, especially on the water, which offers greater eye comfort. What’s The Difference Between The Base Lens Colors? Gray is a neutral tint that allows the eyes to perceive colors in their truest form. Gray tints are better in high lighting conditions as they reduce brightness and glare. Brown tints reduce glare and blue light, allowing high-contrast visibility and perception of details in bright light conditions. Rose tints reduce glare and a portion of blue light. They have the ability to brighten vision and contrast in low-lighting like cloudy days. 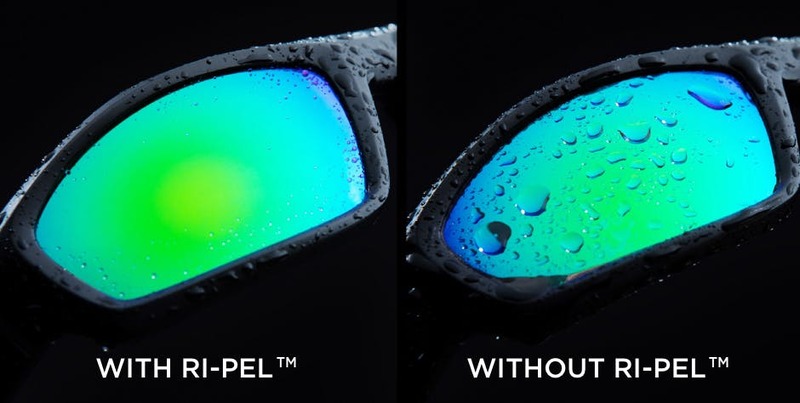 Ri-Pel™ is an easy-to-clean transparent, permanent, hydrophobic and oleophobic coating engineered to provide protection from dirt, sweat, and the elements, making lenses ideal for sport and everyday use.